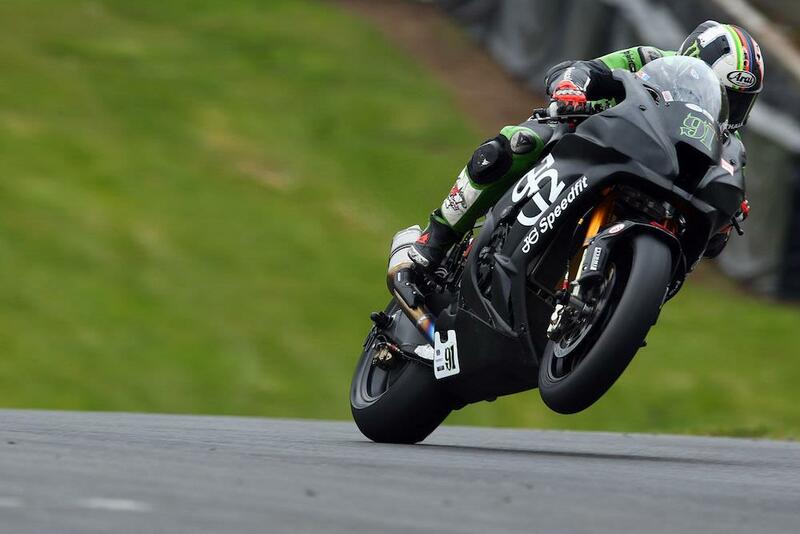 Leon Haslam topped the timesheets at today’s official MCE British Superbike test at Oulton Park ahead of Shane Byrne and James Ellison who will be looking to bounce back from a difficult Brands Hatch as the third round gets underway next weekend. The day started on a damp track after overnight rainfall but soon improved, with the Superbike class enjoying three sessions on track. Josh Brookes placed fourth quickest for Anvil Hire TAG Yamaha ahead of twice race winner from Brands Hatch Luke Mossey, who was 0.8 seconds off his team-mate’s time. Peter Hickman completed the top six ahead of Honda Racing’s Dan Linfoot and an impressive Jake Dixon in eighth. 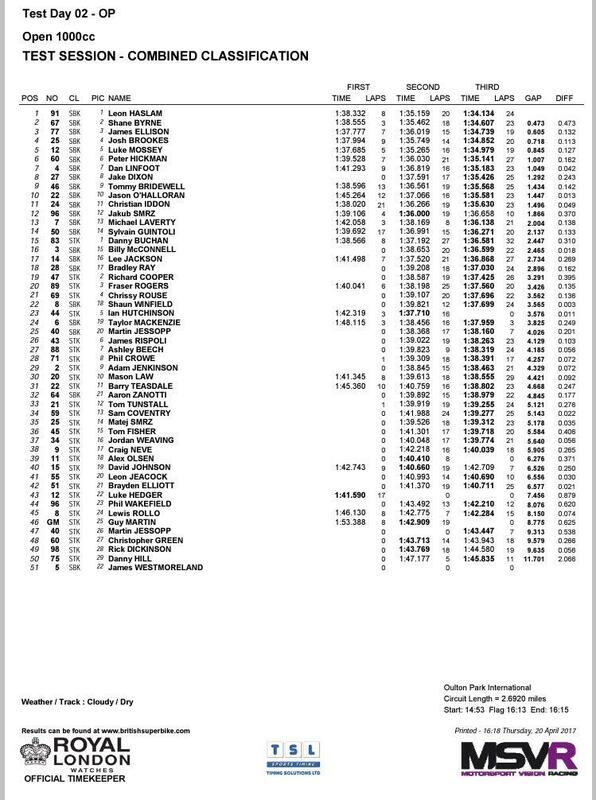 Tommy Bridewell and Jason O’Halloran rounded out the top ten. Sylvain Guintoli and Bennetts Suzuki continued to struggle down in 14th, while Tyco BMW’s second rider Davide Giugliano missed the test after his crash in practice at Brands Hatch. Taylor Mackenzie took a trip into the gravel in the final session of the day and was taken to the medical centre as a precaution but cleared from any injury, he finished the day 24th on the combined classifications.